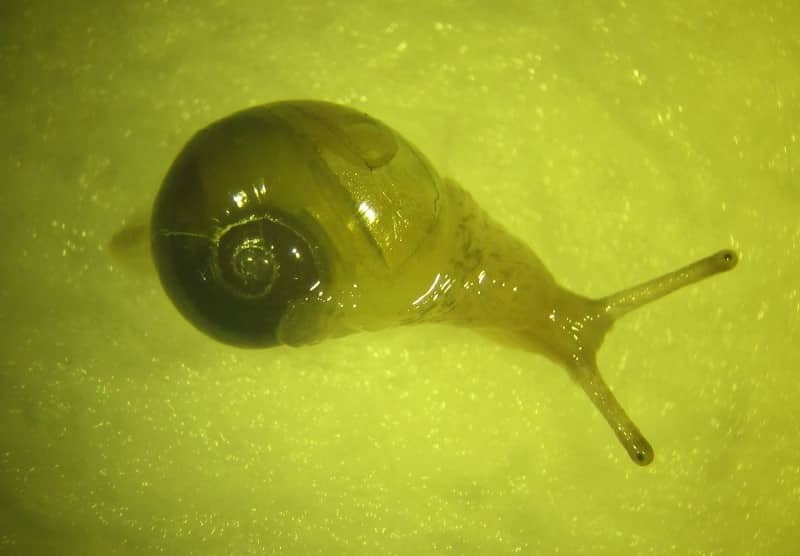 This small gastropod mollusc (shell 4mm. across) was found under a board at the Glenleraig fank (NC153313) on 25th November 2014 by Ian and Pat Evans. The mantle extends over part of the transparent shell (unlike in snails). Widespread, inhabits a variety of habitats, and is tolerant of poor soils. Live adults are found mainly in winter, hence the name. There are records from seven of the ten Assynt hectads, but not a species I have noted before.